Unique opportunity to purchase this charming single story cottage style featuring a quaint entry porch. 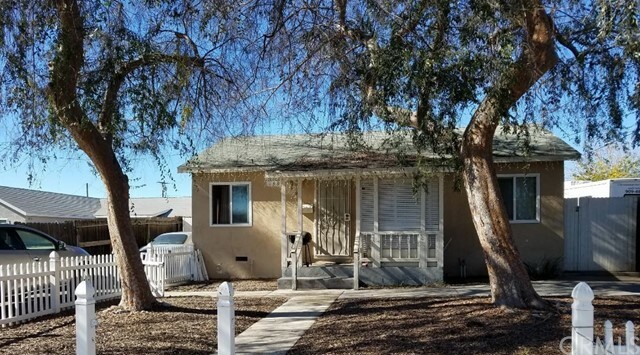 This 2 bedroom, one spacious bathroom includes indoor laundry, galley style kitchen, formal dining room, open family room on an extra large lot with RV Parking potential behind gates. Truly a diamond in the rough in an amazing location..location..location nearby Old Town Upland historic walking district with a variety of shops and restuarants including Cafe Allegro, Mollys Souper, Eden Garden Fusion, IHOP and Town Square. Ideal for FHA or Conventional renovation financing which will give your buyer/s the ability to move into a newly remodeled home personalized by them. Zoned Residential Mixed Use. Owner can build another single family residence or live work units on this lot based on City of Upland Municipal specifications.